Mitsubishi makes the Colt at the NedCar plant in the Netherlands. TOKYO – Mitsubishi Motors Corp. is keeping quiet about future plans for its Dutch car assembly plant, which needs a project to replace production of its only two models, the Colt minicar and Outlander SUV. Starting in 2013, the Colt replacement will be made in Thailand and the next-generation Outlander will be produced in Japan. That could signal the end for the 44-year-old NedCar factory, where output sunk to about 50,000 units last year from more than 250,000 units in 1999, according to company data. The plant has capacity to make 200,000 cars on two shifts. Quizzed about the plant's future at the Tokyo auto show last week, Mitsubishi Executive Vice President Gayu Uesugi told Automotive News Europe: "I can't answer that question. It is a sensitive matter. There are many things we still have to think about." Uesugi said that production outside Japan was important to the company. "Because of the too-strong yen, profit will be negative if we export just from Japan," he said. "We have to take a holistic view so that's why it's difficult to confirm the timing." In a separate meeting, Mitsubishi Europe CEO Akinori Nakanishi said that a decision was imminent. "We have promised unions we will get back to them early next year," he said. Lance Bradley, managing director of UK Mitsubishi importer Colt Car Company, said the cost savings from building cars in the Netherlands compared with Japan were not so different. 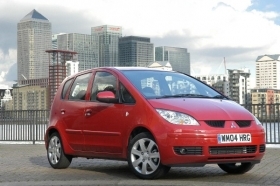 Mitsubishi says the Thai-made Mirage subcompact is not a replacement for the Colt, despite the cars being similar in size. "It doesn't make a lot of a difference in terms of price," he told Automotive News Europe. "You get some benefits, but a lot of the components, such as the engines, come from Japan and the amount of labor that goes into building a car these days is not very much, so it doesn't make a great deal of difference." The Outlander SUV is assembled at NedCar from complete knocked down (CKD) kits, while parts for the Colt subcompact are mainly sourced locally. 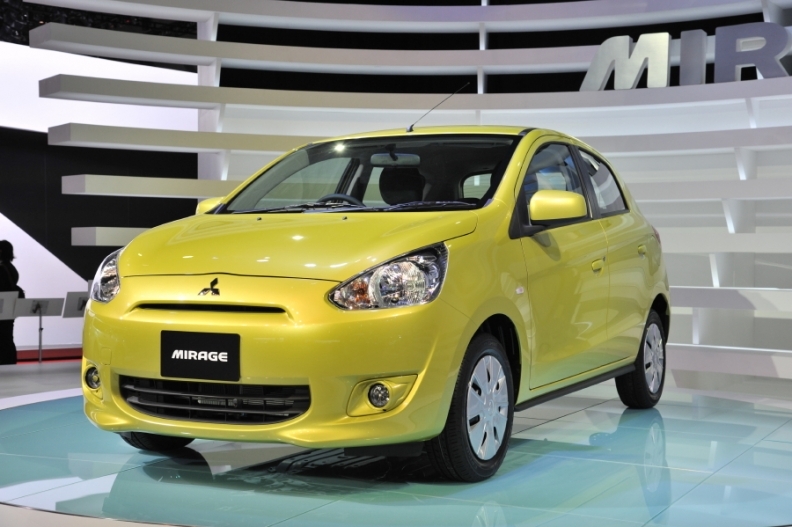 The official line from Mitsubishi is that the company's new Thai-built Mirage subcompact isn't a replacement for the similar-sized Colt. "It's positioned very carefully as not a Colt replacement, but the reality is that people will see it as [that]," Bradley said. The NedCar plant opened in 1967 to build Dafs and went onto produce cars as diverse as the Volvo S40, Smart ForFour and Mitsubishi SpaceStar. One option for NedCar if Mitsubishi stops output there is for the factory to build cars for another maker. "That's one of the scenarios we've thought about," a Mitsubishi Europe spokesman said.